May 28th, 2015, LAKE MARY, FL-(Business Wire)-Fonon Corporation’s (“Fonon”) (OTCQB:MBMI) 3D Additive Manufacturing Systems eliminate product variations associated with Galvo scan heads. Standard 3D metal printing systems that use fixed position lasers incorporate Galvo scan head mirrors to deflect the laser beam across build plate sizes of 250mm x 250mm. Increasing the F-Theta lens allow build plates to extend to 400mm x 400mm. The optimum focal point of a Fiber laser is orthogonal to the build area. As you incrementally deflect the laser beam away from perpendicular towards the extreme boundaries of the build plate, the optimum focal point deteriorates respectively. During each layer of the build cycle, the focal point is constantly changing across the entire build plate. Fonon does not incorporate Galvo scan heads providing end-users with the optimum laser focal point across the entire build plate throughout all layers of the build cycle. 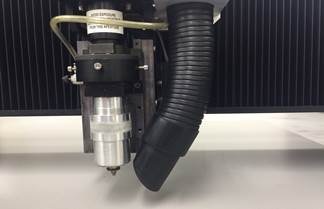 Fonon Corporation’s proprietary Additive Manufacturing Laser is at the optimal focal point throughout the build cycle eliminating the use of a Galvo scanhead.